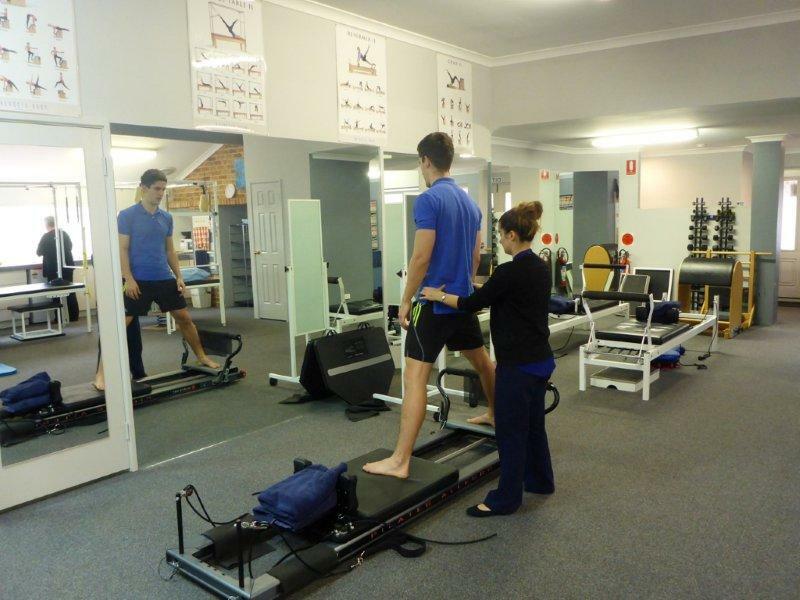 Move Well Physiotherapists can devise a rehabilitation program tailored to your individual needs. We aim to get you pain free, mobile, strong, flexible, and ready to return to sport, work and life, as soon as possible. Move Well Rehabilitation programs can include a combination of hands-on physiotherapy, real-time ultrasound imaging retraining of deep muscle function, supervised exercises within the clinic, supervised exercises within a gym local to the clinic, hydrotherapy sessions, one-on-one Pilates, and home based exercises. Have you twisted your ankle or knee on the sporting field? Research shows that it can take up to 12 months for your ankle and knee to regain full proprioception (balance and coordination) following a moderately severe ligament sprain.With physiotherapy treatment you may feel ready to return to sport after only a few weeks, but what are the chances you will re-injure the same ankle or knee? Your Move Well Physiotherapist can develop a graduated rehabilitation program to retrain your proprioception, balance, strength and flexibility, to decrease the chance of you suffering the same injury a second time. Are you recovering from orthopaedic or neurosurgery? Whether you have had spinal, shoulder, elbow, wrist, hip, knee or ankle surgery, a graduated rehabilitation program will ensure you get the best possible outcome following your investment in surgery. Following surgery you will need to strengthen your muscles, mobilise your joints, and retrain ideal biomechanics to make sure you can move well, live well and stay well. Have you injured your lower back around the house one too many times? A Move Well Rehabilitation program, utilizing real-time ultrasound imaging to assess and retrain the deep muscles of the lower back, can assist with prevention of recurrence of your low back pain. You will be taught how to move more efficiently to take pressure off your lower back, and an exercise program (Pilates, gym, pool and/or home based) will be commenced to improve strength, flexibility and function. Workers’ Compensation injuries and injuries sustained in a motor vehicle accident can all benefit from a Move Well Rehabilitation program. Your Move Well Physiotherapist will liase with your GP, other health professionals and your insurance company to devise a treatment plan that is suitable for your needs. These may include physical conditioning programs, return to work programs, and work site assessments. Cognitive Behavioural Therapy is combined with physical, proprioceptive and exercise based treatments to ensure a holistic approach to management.